Pet photographer J.B. Shepard has many dog lovers wondering what hidden treasures may be waiting to be discovered at the bottom of their recycling bins. 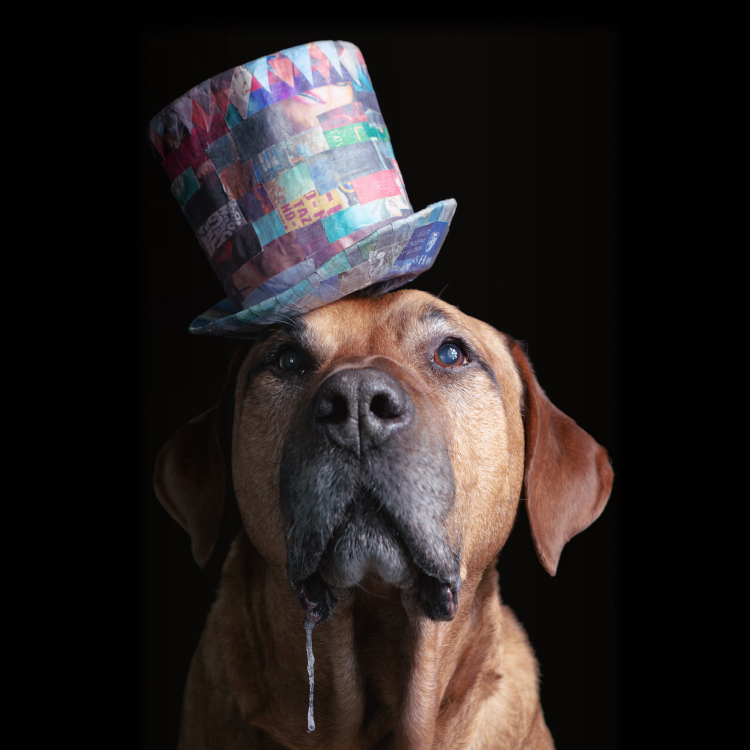 Shepard’s surreal photo series, “Paper Hats; Whimsical Portraits of the Once Discarded” shines a fun new light on the joys of adopting a furry friend from a shelter. 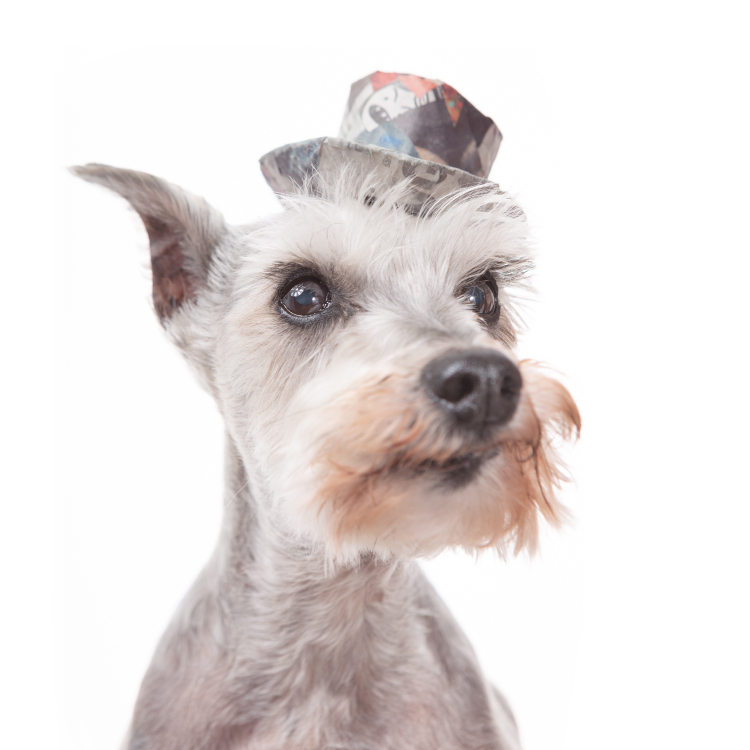 Featuring a wide ranging cast of canine characters, Paper Hats dresses these adorable creatures in elaborate costumes crafted from some very unexpected materials. The collection of Baroque inspired ruff collars, colorful top hats, geometrically patterned stetsons, and steam punk style goggles featured in Paper Hats were all made from trash — recycled post consumer paper products, to be exact. 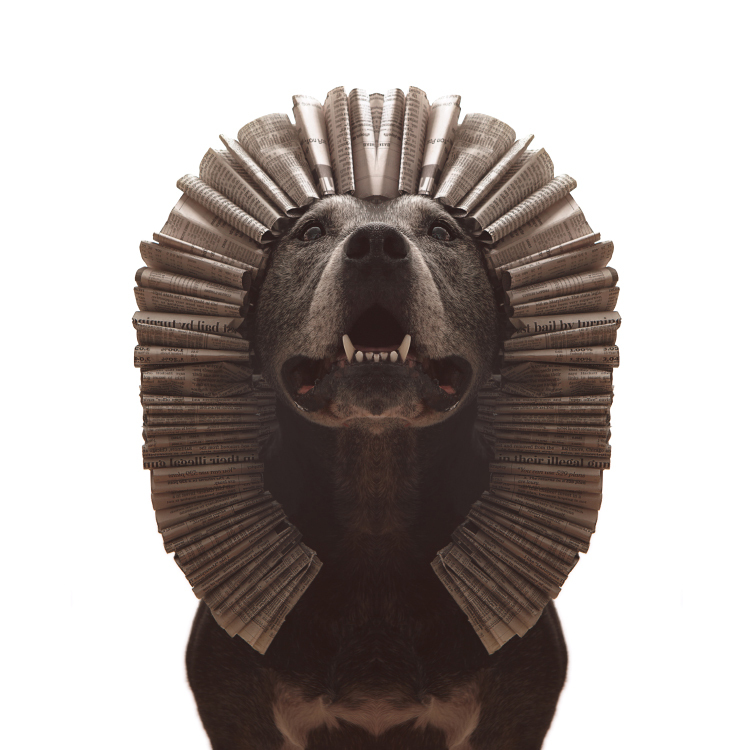 iHeartDogs sat down with J.B. Shepard to discuss his critically acclaimed dog portrait series and learn more about what he has planned for Paper Hats. Let’s talk big picture – what’s the point of Paper Hats? Like most portrait artists, the primary purpose of my photography is to get viewers to see our subjects from a different angle — to show that all anyone needs to shine is a second chance. 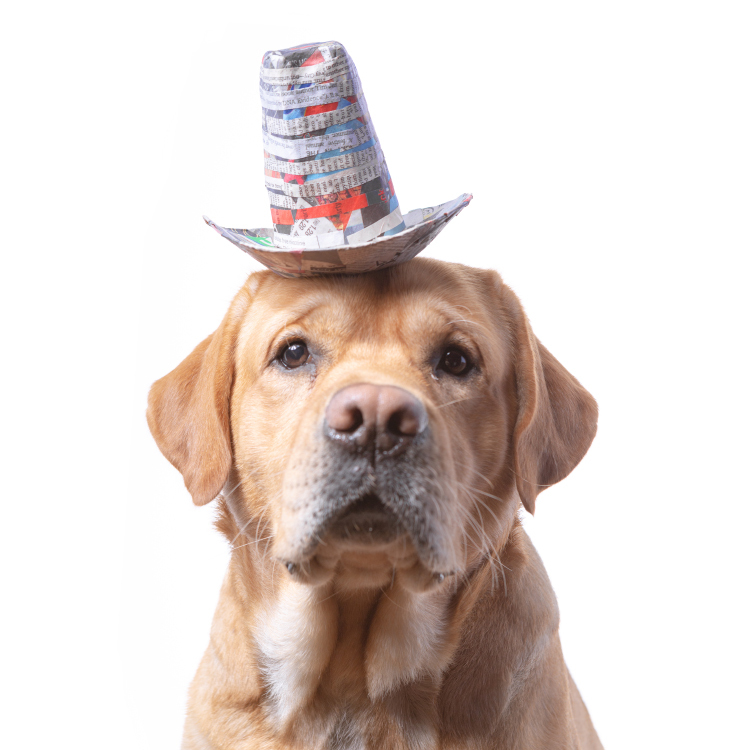 With Paper Hats we are encouraging folks to look at rescue dogs differently and if they have the means, help us raise funds needed to get spring some great dogs from shelters and into loving forever homes. What rescue are you working with? 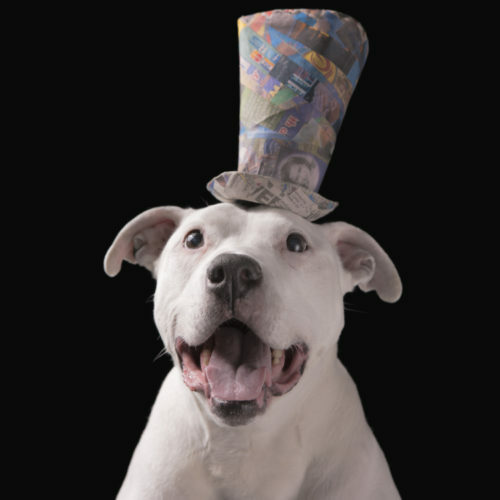 Print sales from Paper Hats benefit a fantastic 501c3 nonprofit all volunteer operated dog rescue and foster organization called Bella’s Bully Buddies. They’re a relatively small group, but they do absolutely amazing work. I am constantly floored by the commitment of their volunteers and what Bella’s fosters are able to accomplish. I’ve watched them take on some really hard cases, dogs that many other rescues might give up on as lost causes, and transform them into fabulous companions. 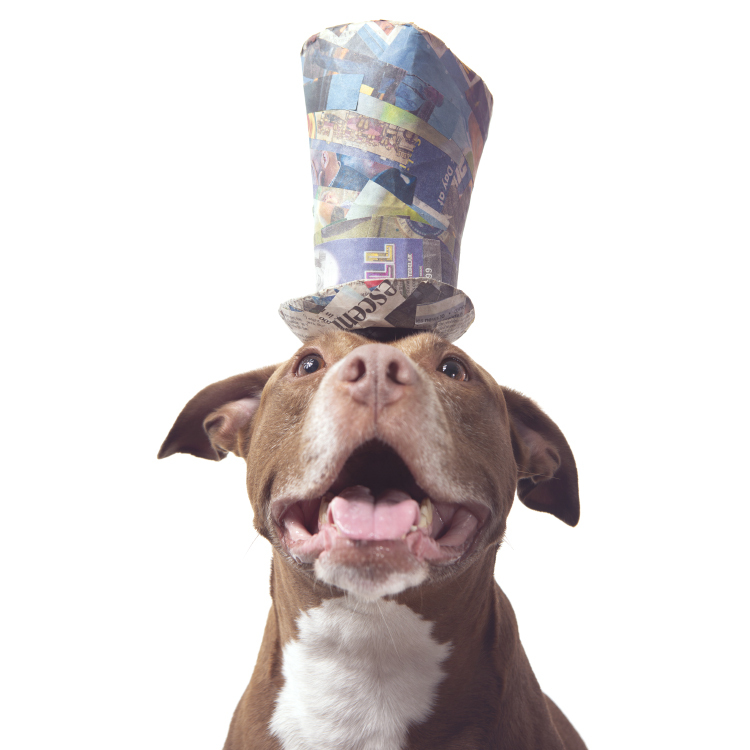 We raised just shy of $5,000 for Bella’s dogs from art sales during our first run of Paper Hats. Now that the series is in its second year, we’re hoping we can make an even greater impact and give even more dogs a chance to find their forever homes. How can iHeartDogs fans help? 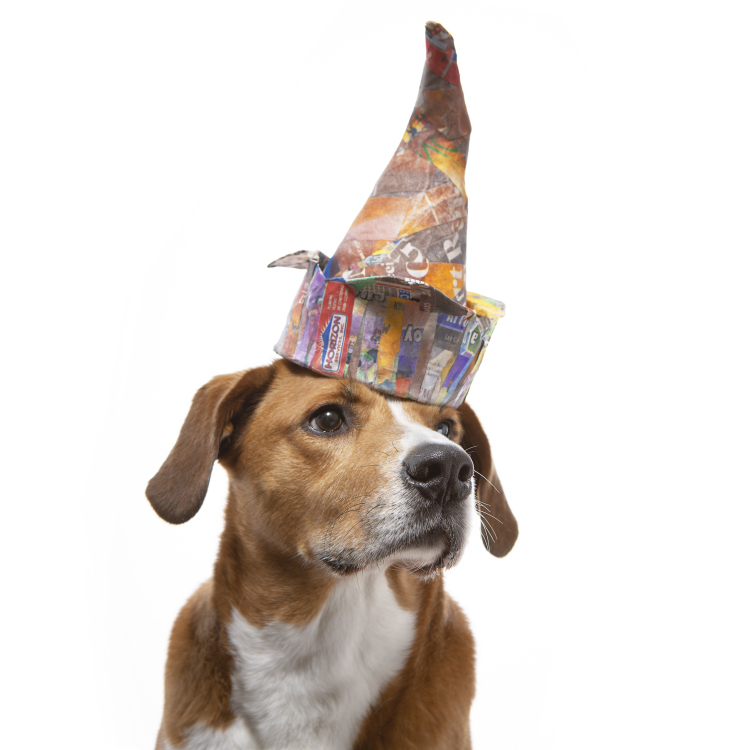 Proceeds from Paper Hat art sales benefit Bella’s Bully Buddies. Paper Hat prints can be purchased online at K9RT.com. 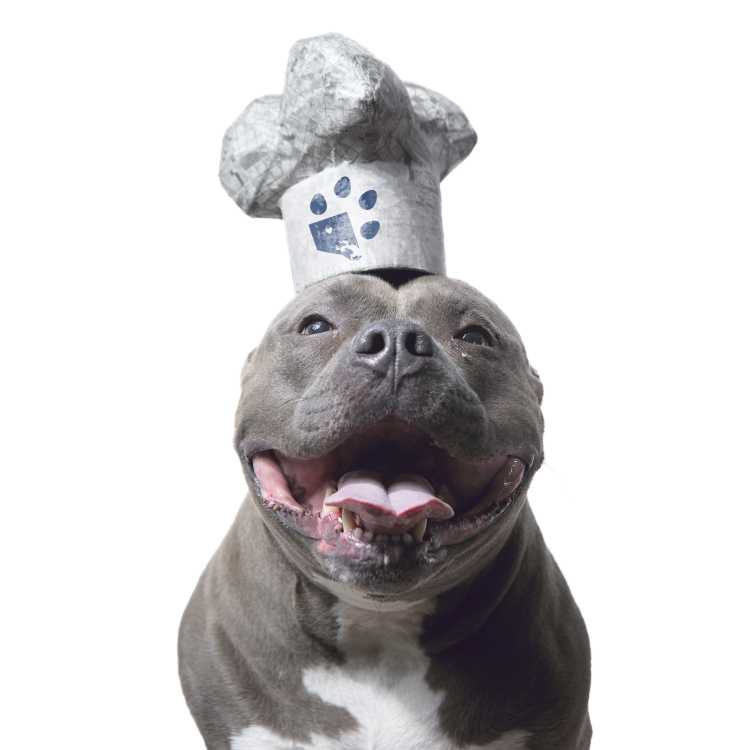 Readers can also donate directly to Bella’s Bully Buddies from their Facebook Page. From what I understand Facebook does not charge any transaction fees for donations made through their page. As a registered 501c3 non profit, I believe direct donations are tax deductible – but you might want to check with your accountant to be sure. Tell us about the series. Why are you making hats our of trash? And what do these costumes have to do with rescue dogs? When you boil it down, how we approach costume making is really not all that different from what rescues across the country are doing every day all over the world. We’re just working in a parallax medium. A dog may arrive at a shelter unwanted, but the opinions of the original owner do not diminish the value of the dog or its capacity to bring joy to another family. 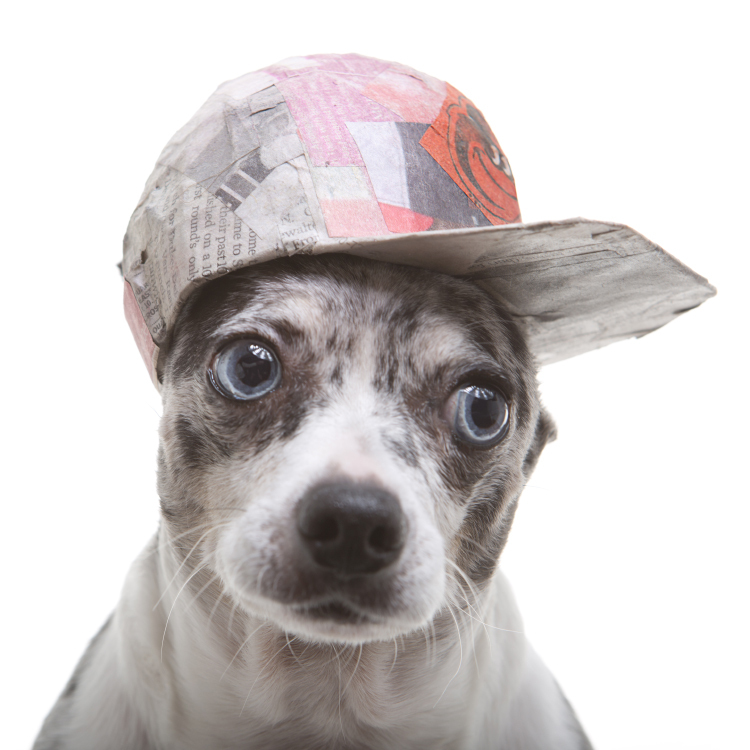 When we design new hats we’re not making the newspaper or cardboard more valuable. The potential was always there. All we’re doing is making it easier for folks to recognize that these materials and dogs still have the capacity to make folks happy – if they have a chance. Some of these pieces are pretty complicated. Do they take a lot of time to make? Depending on what we’re making some of these pieces can take awhile to put together. Typically we are looking at anywhere from three to five days to complete a hat. Many of our papier-mâché designs are assembled using a five step process, requiring us to break for drying multiple times during construction. Just harvesting materials can take a good bit of time, as the paper needs to be clipped and sorted by color and shape. Wouldn’t it be easier to just buy costumes? It definitely would be easier to buy costumes. And, if we were in the business of selling the costumes, that would certainly be a more pragmatic approach. But to get people to look at things differently requires effort – both on our part and that of the viewer. If we’re asking people to change their perspective we have to be willing to at least meet them half way. There is more to art than self expression. If we want to convey new thoughts and ideas we have a responsibility to make that new perspective as accessible as possible. And at the end of the day, I’m happy to do things the hard way for the simple fact that the value of the narrative is greater than my time. How did you come up with the idea for Paper Hats? It’s kind of funny, when we started this project we didn’t start with paper. We only arrived here through lessons we realized while working on another project. 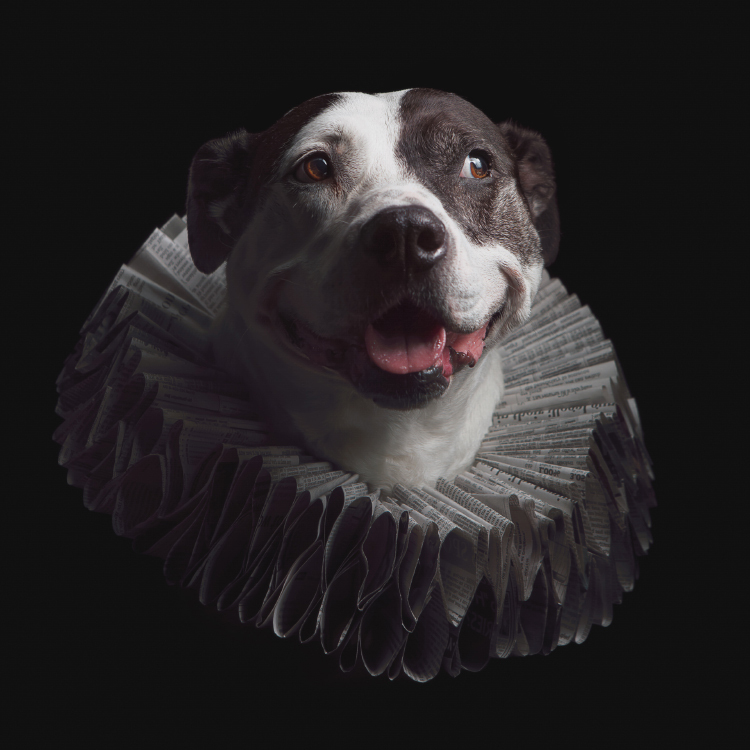 We initially set out to photograph pit bull fosters dressed in elaborate Baroque and Elizabethan inspired costumes. We thought it would be interesting to juxtapose what some might perceive as a rough-and-tumble breed with the luxurious fabrics and sophisticated designs that the period was known for. Granted that’s not an especially uncommon narrative technique, but it can be very effective and is an approach that many pet photographers have leveraged in some very impactful ways. 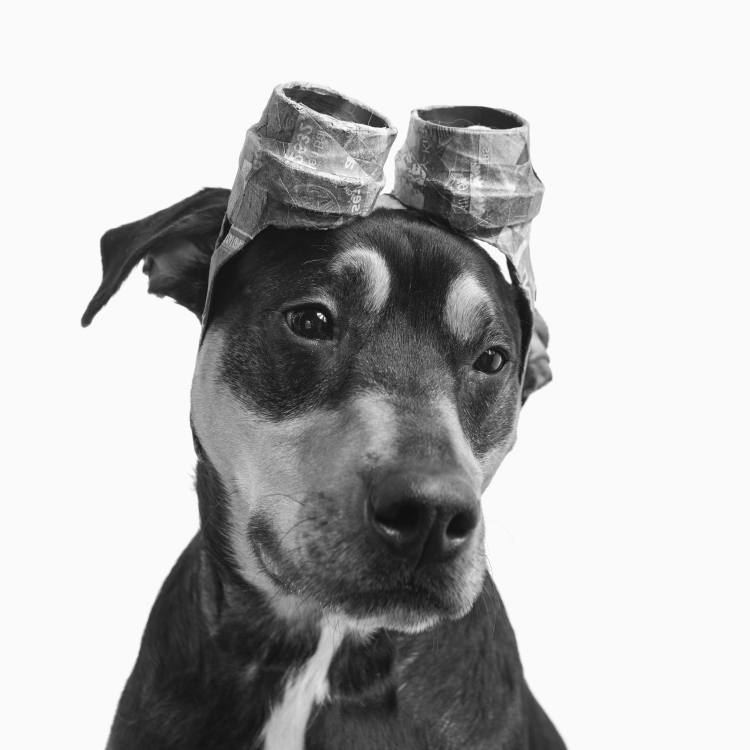 Sophie Gamand’s series “Flower Power, Pit Bulls of the Revolution” is a great example of this story telling technique leveraged in a brilliant way. 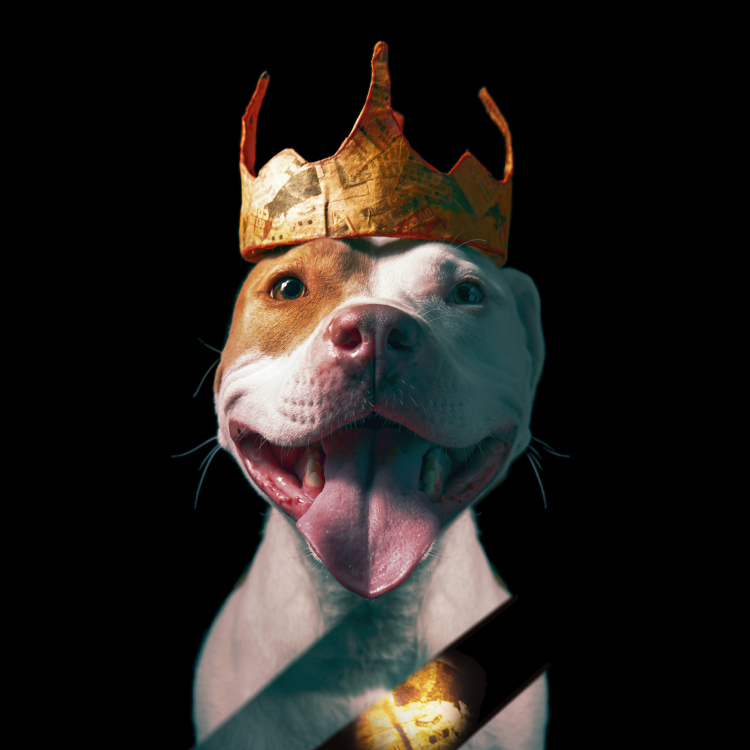 Flower Power came out during a time when breed specific legislation was still a huge problem in many states, and I think this series went along way towards changing perceptions about blocky headed breeds and in turn, saved the lives of a lot of innocent dogs. 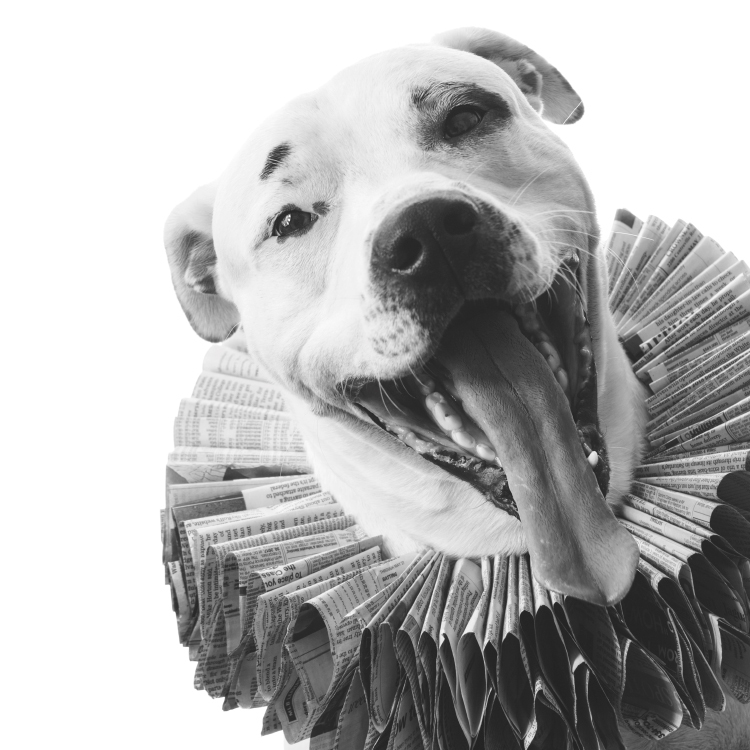 As some Maryland counties still has some pretty damaging and discriminatory breed specific legislation on the books, we were hoping our costume series might help bring some more attention to the issue and sway the minds of voters who might still be on the fence about America’s dog. The original concept sounds like it could have been fun. Why did you pivot to Paper Hats? The shift in theme wasn’t something we had planned. We had already finished a few really nice staffy sized doublets and gowns when we started prototyping the first ruff collar. If you’ve never tried to make a proper ruff you may not have guessed it, but sewing a proper ruff collar is quite the task. The folds and cuts require a fairly sophisticated level of precision. Which can be problematic considering the expense and fragile nature of the materials. So, we wanted to make sure we had the design 100% down before we started working with the final materials. But when we saw the first prototype come together in newspaper, we knew we were on to something special. It immediately just felt right. Wait – so you just scrapped all of the costumes you had already made? It wasn’t a decision we came to lightly. We had already invested a good amount of money in materials and time in the original pieces. But we realized while the fancy fabrics were fun and interesting, they weren’t very dog. But to take something that someone else has thrown away and turn it into something greater, something precious, something that is loved — even if just for a fleeting moment — that is the epitome of dog. That’s a beautiful sentiment for a dog! Well, it’s not like you see dogs scribbling down manifestos or musing on philosophy. But if you watch how a dog interacts with the world around them, especially in what they enjoy or at least are motivated by, it can lend a deeper understanding of their perspective. My Boggle (Boxer/Beagle mix) George is constantly reminding me of this. I buy George new toys and chews fairly regularly and a lot of these are not cheap. Like most dog owners, I’m happy to spend a little money just to make sure that he remains stimulated, healthy and safe. But do you know what his favorite thing in the world is? Little bits of string. George will pull the threads off of the tug ropes we buy him (or camera bag straps, if I’m not paying attention) and just carry slobbery bits of string around dangling from his mouth. To you and me those threads are not a toy – they’re just trash. But George doesn’t care what you and I think about the string, he attributes value to the string because he enjoys it. Watching George over the last few years, I’ve developed a certain appreciation for his Absurdist outlook on life. And, when you start to see things from a dog’s perspective, the way we should approach the series becomes kind of obvious. And, you think George would approve of Paper Hats? I can’t help but feel like if George was capable of making these costumes, that he wouldn’t use new or expensive materials. Instead, I think he’d use scavenged materials, things he found and enjoyed. Which is the main reason why we never dye or paint the hats. If George chose to work with an item because it is something that sparks joy, why would he cover it up? It’s not enough to make something new and fun from these upcycled materials. We want viewers to recognize the transformation happening right in front of them and make it a little easier for people to realize that all any of us needs to shine is a second chance. J.B. Shepard is a self-taught artist and founder of the Puptrait Studio. The Puptrait Studio is available for private dog portrait commissions and commercial pet photography assignments. Studio hours are by appointment only. The second installment in the Paper Hats series will be released on March 22, 2019. For event details please checkout the events page on the Puptrait Studio’s website. Prints are available for purchase online at K9RT.com. 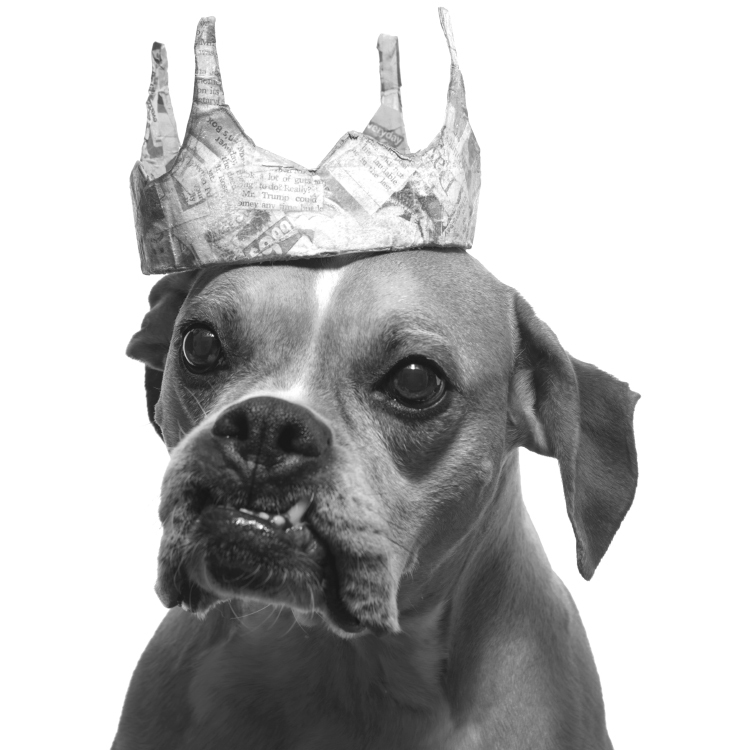 Proceeds from Paper Hat print sales benefit Bella’s Bully Buddies.